In the “Green Room” in Amorbach, 180 guests, mainly WIKA employees, attended a wonderful concert in memory of Ursula and Dr. Konrad Wiegand. Anne Luisa Kramb and Nuron Mukumi harmonised beautifully. Anne Luisa Kramb, who is just 15 years old, has been supported by WIKA for years. In addition to receiving numerous awards, this exceptionally talented musician, who started playing violin at the age of five, obtained one of the highest ratings in a competition organised by the German Musical Instruments Fund in Hamburg few weeks ago. Her prize was an Enrico Rocca violin, which has been loaned to her initially. Born in Tashkent, the capital of Uzbekistan, the 20-year-old Nuron Mukumi is no less talented. He began his musical training at the age of 6 and already won several international awards at an early age. In Amorbach, both young musicians played violin and piano sonatas by Franz Schubert (1797 – 1828), Ludwig von Beet­hoven (1770 – 1827) and Edvard Hagerup Grieg (1823 – 1907). They impressed the audience not only with their perfect interplay and technical precision but also with their capability of expression, which swept away the listeners. The audience responded with a prolonged ap­plause and demanded an encore, which was also granted. 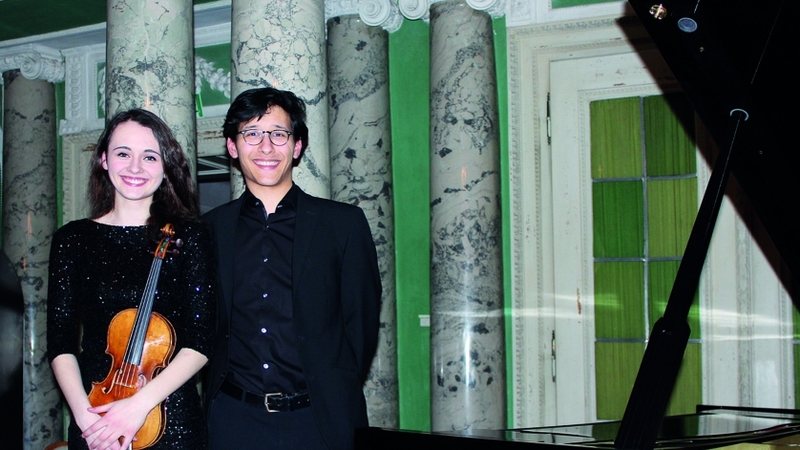 Anne Luisa Kramb and Nuron Mukumi are glowing examples of how great talent and inspiration, together with persever­ance and many hours of practice lead to long-term success – they were worthy interpreters for the memorial concert at WIKA.